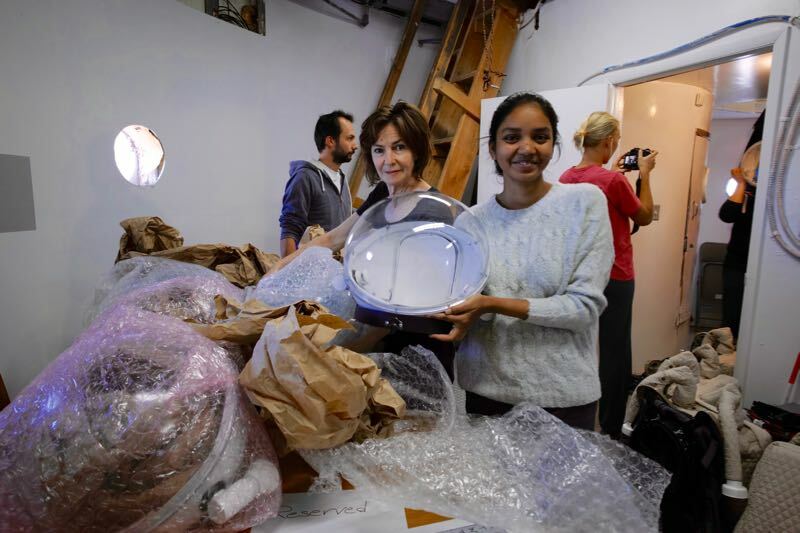 Today we received a special package from Earth. Like a kids in the Christmas morning we were waiting for our dearest present. The container was waiting to be collected from the airlock. “New space suits arrived”, exclaimed Jon with a big smile on his face. The package was opened with the speed of light and everyone started to study the suits. They were shiny and smelled “new”. Each crew member could have his own space suit adjusted to his/her size, height. Those space suits gives us a super power! That is the feeling I experience every time I wear it. It increases the level of responsibility, conciseness and stamina. 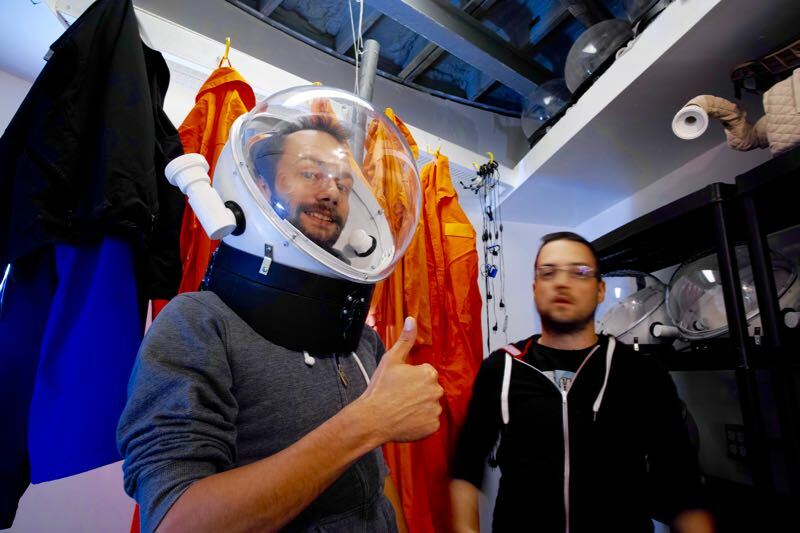 Martian space suits should become as familiar, comfortable and easy to use as clothes. 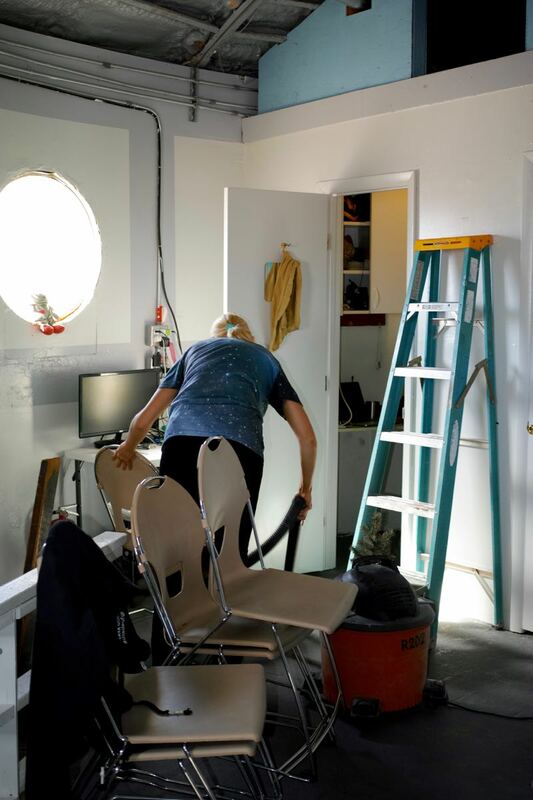 Well this is the ideal view – but what is the reality? Let us go through the functional requirements for the Martian suits. 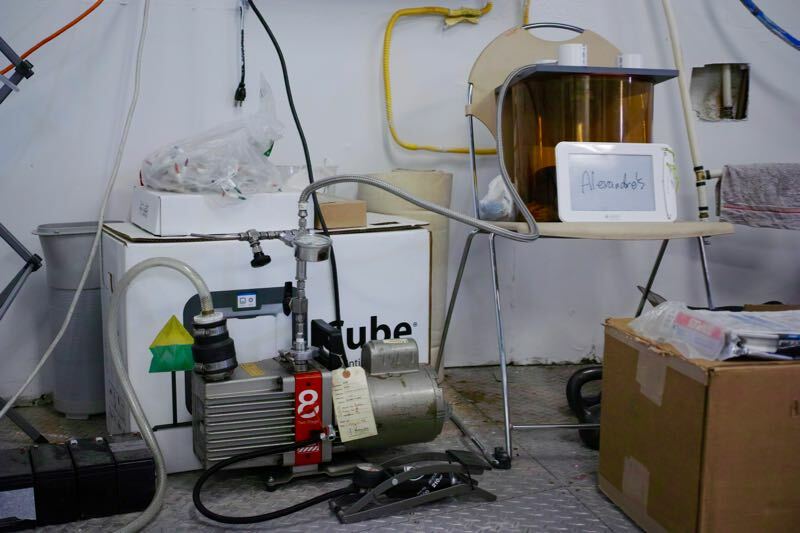 It should provide and maintain breathable atmosphere, regulate temperature, supply with water and food, manage the crew waste, get the biomedical data, enable communication, track the crew member, record the audio, video data and so on. There are so many more to be added to the list. In order to work on Martian surface the suit should be flexible, reasonably light, shielded against radiation and robust to corrosion. It should work up to 10-12 hours, withstand Martian tiny dust particles, which can cause the problem for space suit bearings. 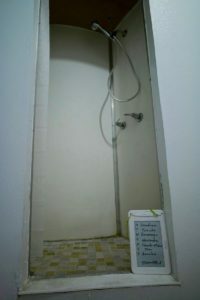 Again ideally should have a self-cleaning system to get rid of human bacteria and smell. Probably some day we will have the terms “stylish Mars suit” but for the next couple of decades it doesn’t seem to be one of the aspects under consideration. If you think I mentioned too many requirements, you will be surprised to learn that I didn’t list them all. When the first humans will work on Mars their experiences will demand many unexpected improvements to the suits. This is why our simulation mission Mars 160 is so important. Valuable data of our Extra Vehicle Activity will provide the better understanding of how Martian space suits should be developed. We are happy to add a drop of information to the boiling kettle of space suit requirements. Lichens – a diverse and unusual group of organisms – form an intimate symbiosis with two very different species fungi (mycobionts) and algae (photobionts) or cyanobacteria and are found in nearly all terrestrial habitats ranging from equatorial (hot) to Polar (cold) regions. Fungus belongs to the Kingdom Fungi, are ecologically significant as they are integral for the survival and maintenance of the surrounding ecosystem by establishing a symbiosis with plants and trees for the uptake of nutrition and facilitating survival. Fungi are commonly known for their ability to break down organic matter and resort to other organisms to obtain nutrition since they do not produce their own food. On the other hand, a separate Kingdom Algae are the group of diverse aquatic organisms that are capable of photosynthesis and survive in almost any environment when associated with lichens. 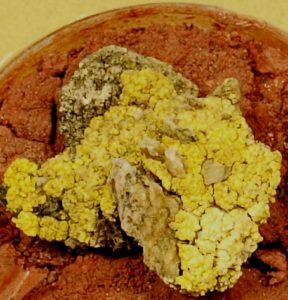 Lichens have displayed an immense potential of surviving extreme conditions and adaptation in the simulated Martian conditions in previous studies. 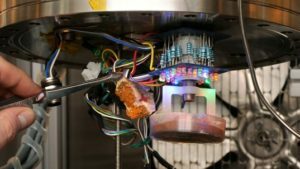 Scientists at the German Aerospace Center’s Institute of Planetary Research in Berlin, Germany, have studied the survival potential of lichens in Mars-like conditions. 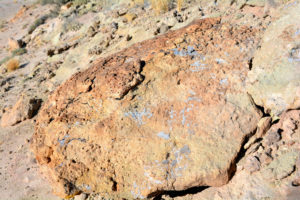 They found lichen survived temperatures as low as -510 C, high bombardment of Ultra Violet radiation for a long time as well as having the excellent physiological adaptation in extreme Martian conditions when residing inside microhabitats of cracks in Martian rocks and in turn shielded from radiation. European scientists collected lichen samples from Sierra de Gredos (Spain) and the Alps (Austria) and sent them to International Space Station (ISS) to examine the likelihood of their survivability on Mars. 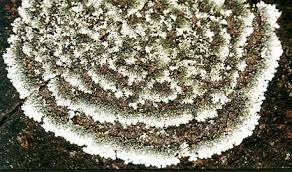 Scientists retrieved viable DNA of lichens even after 18 months of exposure to space conditions. 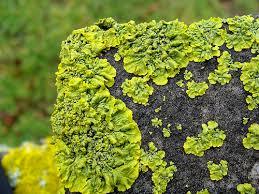 Additionally, the vast majority of lichens are tolerant to desiccated conditions and characterised by acquiring adaptations in response to the environmental stress by altering photosynthetic process and physiological activity and represent a dominant life-form in hostile conditions which no higher plant can sustain. 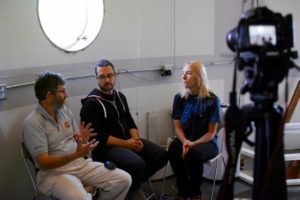 According to MARS 160 Crew Geologist Dr Jonathan Clarke – Lichens are valuable for Mars analogue research in several ways. Firstly, they represent the kind of communities that might have existed on Mars in the past, when conditions may have been warmer, wetter and of a higher atmospheric pressure. Secondly, at a macroscopic scale, they show the same type of response to the influence of microenvironments, nutrients, and other factors as are seen at the microscopic level, and can serve as tools for understanding life in extreme environments. Lastly, lichens, because of their role in colonising extreme environments, have played a significant role in the evolution of the terrestrial biosphere of planet Earth, and are therefore of intrinsic interests to astrobiologists. Investigation of lichen biodiversity due to their capability of surviving harsh environmental conditions is important in extreme environments which are considered planetary exploration analogs. Mars Desert Research Station (MDRS) is one of those Mars analog research sites located in the desert and represent an ideal environment for astrobiological exploration. 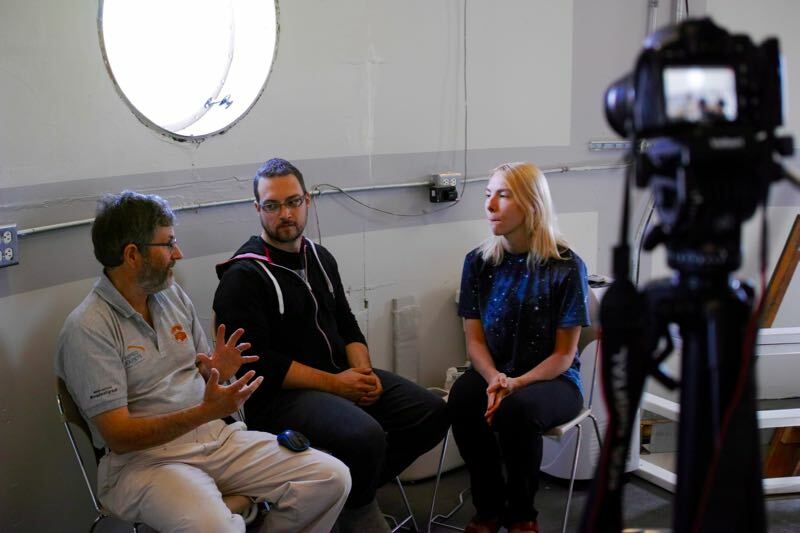 MDRS has been the hub of astrobiological research for exploration of extremophiles and biosignatures. At MDRS lichens have been found to be strongly bonded to rocks and soil partnering with algae and fungi. Therefore, characterising the lichen community in the vicinity of MDRS in full simulation suit gives the opportunity to understand their diversity and survivability under Mars-like conditions. 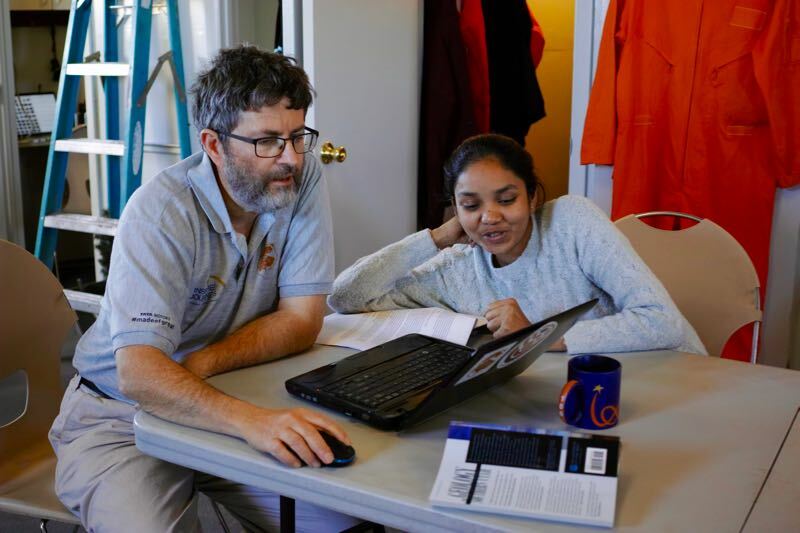 Multiple lichen species have been documented by biologists during previous MDRS rotations and MARS 160 mission will undoubtedly build upon the insights have already been gained on lichen biodiversity surveys and mapping! Barrett, P.E. and Thomson, J.W., 1975. Lichens from a High Arctic Coastal Lowland, Devon Island, NWT. Bryologist, pp.160-167. Sancho, L.G., De la Torre, R., Horneck, G., Ascaso, C., de los Rios, A., Pintado, A., Wierzchos, J. and Schuster, M., 2007. 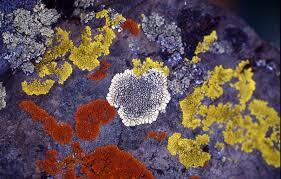 Lichens survive in space: results from the 2005 LICHENS experiment. Astrobiology, 7(3), pp.443-454. In many ways lichens make better astronauts than humans do. Though they seem humble and unassuming, these hardy organisms are tough enough to thrive in some of Earth’s harshest environments, from hot deserts to our coldest polar regions. Some species have even survived exposure to Mars-like environments and the exterior of the International Space Station. 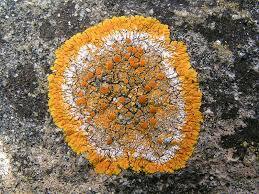 Lichens are composite organisms made of two microbial partners. They are comprised of a fungus paired up with an alga, a cyanobacterium (blue-green algae), or in some bases, both algae and cyanobacteria. The fungus houses and protects the photosynthetic partner in return for energy in the form of sugar. 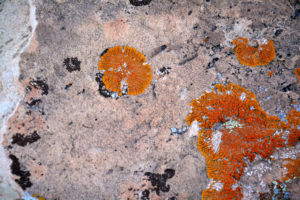 Resistant to UV radiation and desiccation, lichens are ecologically important in the extreme environments selected as planetary exploration analogs. 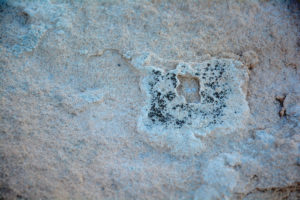 At both MDRS and FMARS lichens grow in rock and soil and exchange their photosynthetic partners with endolithic colonies of algae and biological soil crusts, often altering their substrate. 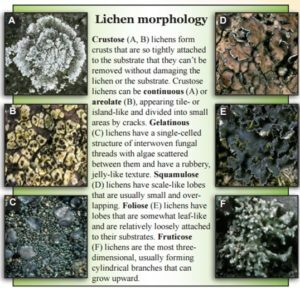 Lichens are also picky about where they live, with different species often exclusively growing on different types of rock. Due these characteristics, and their relatively conspicuous nature, the search for lichens are an excellent terrestrial analog for training crews in the search for biomarkers on Mars. Preliminary surveys have recorded 182 lichen species on Devon Island (where FMARS is located), 61 species from eastern Wayne and Emery counties, Utah (MDRS is in Wayne County), and 16 species from the deserts surrounding MDRS. 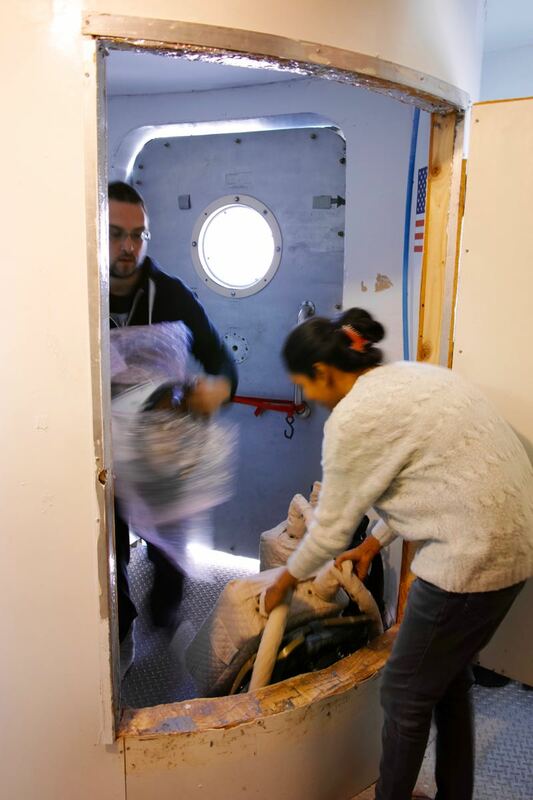 During the MA160 mission, the crew will conduct a thorough inventory of lichen biodiversity and substrate ecology at both stations, undoubtedly adding new species to these totals. 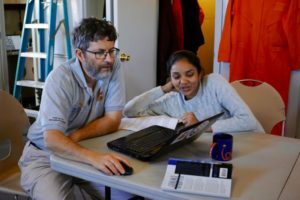 This will contribute valuable information on lichen biodiversity to earthbound scientists while simultaneously giving the crew to opportunity to develop the astrobiological techniques that will be needed by future Martian explorers. The Crack Lichen (Acarospora strigata) is a common white crust-like lichen commonly found around MDRS. Polysprorina gyrocarpa is a lichen originally described from the San Rafael Swell near MDRS. The Desert Firespot Lichen (Caloplaca trachyphylla) can be found growing in shaded, highly-perched rocks in the deserts surrounding MDRS. Food Report for 6th of October 2016. A handful of dehydrated leak leaves. A handful of dehydrated sweet corn. A handful of dehydrated chopped onions. A dash of dehydrated cabbage. Step 1: Hydrate the vegetable for at least 15 minutes and reserve. Step 2: Empty the eggs in a mixing bowl, mixed the eggs until homogeneous and reserve in cold. If you are using powder eggs, fellow instruction for the right amount require. Step 3: Once the vegetable are well hydrated, insert the flour in the egg bowl and mix them until homogeneous. If you feel that you need more or less flour, it up to your taste. The more flour, the more the final result will hold. 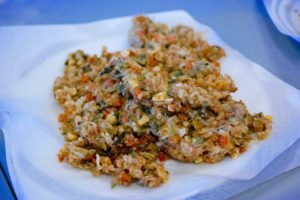 Step 4: Insert the vegetable in the egg and flour mix, and mix them together. Step 5: Fill a sauce pan with vegetable oil, in a way that you have at least 5 cm of oil in the saucepan. The more oil you have, the bigger the result will be possible. Less oil will just make the Kaki-age thinner. 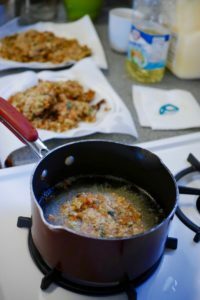 Step 6: Take a sphere of vegetable and deep fry the mix until it is well fry. Step 7: Redo Step 6 until no mix of vegetable, egg and flour is left. Step 8: Reserve the end product to not burn your guess. DISCLOSURE: I also want to add that no Yusuke was burn, fry, badly treated in the making of this meal. Only some unlucky vegetable had to be deep fried for the sake of the hungry crew. Try it at home and let us know how you much enjoyed it or not.